Coming towards the end of another week and rather surprisingly the euro is little changed against the dollar from last week’s close. Friday’s non-farm payroll number for November was marginally higher than forecast but as it didn’t really surprise on either side, the market has been unable to take any direction from it. The unemployment rate was reported at 4.7% with economists having predicted a tick up to 4.8%, while hourly earnings in November rose a sizeable 0.5%, much higher than the 0.2% seen in October. The data is strong enough to prevent the Fed contemplating a 50 basis points rate cut next Tuesday and with a 0.25% cut already priced in, the euro was unable to sustain any meaningful rally Friday. Sentiment should work against the dollar however in the run-up to Tuesday’s announcement and I will be surprised if we are not trading closer to this week’s high of 1.4770 before then. The market has had a rather muted response to ECB President Jean Claude Trichet’s hawkish statement yesterday and it will be something of a surprise if that statement does not play out in a much stronger euro next week, against the backdrop of further US rate cuts. Trading levels are beginning to thin and will thin out even more the further into December we go, so the market will become somewhat erratic. The stage though is being set for a further euro attack with 1.50 being a very realistic target before the year end (there are plenty of option contracts out there that want this price to be hit before the options expire at year-end). Expect a run-up in the euro between now and next Tuesday’s with the advance likely to become more pronounced in the period immediately leading up to the meeting. A break above 1.4770 could see price closer to 1.4850 in and around the time the decision comes out. Strategy: Start to buy on dips towards 1.46 with target prices of 1.47, 1.4760. If price holds above 1.47 buy with target of 1.48 and once holding above 1.4770, target 1.4850 and 1.49. We will see where prices are at Monday. Sterling has done remarkably well over the past 24 hours when once considers interest rates were cut Thursday for the first time in over 2 years. The pound is virtually unchanged against most currencies Friday and has made gains against the lower-yielding Swiss franc and Japanese yen. Renewed dollar weakness and a strong rally in equity markets helped protect sterling in the aftermath of yesterday’s decision but the medium-term outlook for the currency is not very bright. Most traders saw little value in selling cable following a 3 cent decline Wednesday, but selling pressure will re-emerge on any significant pound rallies we see. Cable could run up to over 2.04 in the lead-up to the Fed rate announcement on Tuesday next, but thereafter cable may continue its downward trend, with the possibility of sharp moves as trading condition get thin. The ECB yesterday did not do sterling prospects any good (by dashing hopes for wider Central Bank easing) and we could witness a strong upside rally in EUR/GBP next week, with 0.7250 being the initial target and 0.73 being realistic before the end of the year. Sterling best chances against the euro are if the euro experiences a sharp sell-off itself, which seems unlikely in the short run given the ECB’s stubborn policy position. In the only data release out of the UK Friday, business think-tank body NIESR estimated UK economic growth slowed to 0.6% in the three months to the end of November. Strategy: Wait until after the Fed on Tuesday before considering a sell down of cable, but any rallies above 2.04 deserve the attention of cable bears. 2.0084 is the target next week. The yen had to take it on the chin again Friday as stock markets continued to rally and risk tolerance levels rose, thus leading to renewed interest in carry trades funded by the Japanese currency. Indeed, the yen will probably remain under pressure until after next Wednesday, i.e. 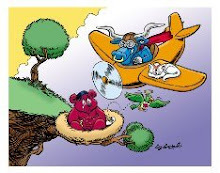 after stock markets have exhausted their upside rally, following an expected Fed rate cut on Tuesday. Data out of Japan overnight showed annualized quarter 3 GDP was revised downwards from 2.6% to 1.5%, which was a major surprise and highlights that the US economy is not alone in terms of facing an uncertain future as we come towards the end of the year. The yen has depreciated 0.35% against the dollar Friday and the pair now stands just shy of the 112 price line which is a significant barrier level. A break above 112 could mean the dollar will advance back towards 114 against the yen by the middle of next week as the euphoria over the Fed coming to the aid of the markets sends the yen packing for a few days. The euro has risen to 163.80 against the yen Friday and Y165 looks a certainty come Tuesday night. The Japan’s currency will likely come under further pressure on the carry crosses through to next Wednesday. Strategy: Buy EUR/JPY on any dips below Y163 with target prices of Y164 and Y165. The loonie has showed some impressive resilience over the past few days and is now trading at the same price it was at against the greenback, prior to Tuesday’s Bank of Canada rate cut. As we have seen recently in the past number of months, the loonie strengthened just ahead of a key employment report and then made rapid gains immediately after the actual release. I have become suspicious of how the market trades Canada’s monthly employment report, because some segments of the market appear to be two steps ahead of the rest of us, but that’s an issue for another day. November’s 43K gain was impressive and the report points to continued solid growth in Canada’s labour sector against a background of competitive pressures from a strong currency and a slowing US economy. Jobs tend to be a lagging indicator though and it could me several months before we see the true impact of the recent strains which have been put on the Canadian economy. The US dollar failed to sustain a break above 1.02 over the past 3 days and today the loonie took control pushing the greenback back sharply, the pair touching 1.0007 before settling closer to 1.0050. It is highly unlikely we are witnessing a return to the downward trend, but a temporary correction was due and we could see another attempt by the loonie to break parity before the uptrend gathers pace again. Strategy: hold current longer-run upside positions and switch S/L to 0.97.60 to protect against Fed decision increased volatility during thin market conditions. Short run positions should buy on levels above the parity line using 0.9945 as a S/L and target 1.0140 and 1.0185. The loonie should also continue to make gains against the Japanese yen through to next Wednesday. We saw quite a dramatic capitulation of this pair Wednesday, with the euro ceding almost 1.7 cents on the day, which is an unprecedented level for this pair. I’m inclined to believe the move had more to do with the closure of positions ahead of today’s key Central Bank announcements, rather than a fresh wave of new positions coming in behind the dollar. We are entering quite a thin trading period in the run-up to Christmas with many fund traders squaring their positions prior to the year end, so erratic moves will not be uncommon through the remainder of December. The US data yesterday was mixed for the dollar moreover being wholly positive, despite the market rally we witnessed. Activity in the services sector, as given by the latest ISM survey, slowed more than expected in November while unit wage costs in the third quarter actually declined. The ADP employment report, which signalled a surprise 189K gain in jobs in the private sector last month, is notorious for being inaccurate and there is no guarantee that the non-farm payroll report on Friday is going to reflect such any such surprise gain in employment. The reality is that the Fed is going to cut rates next week and the ECB has not cut rates today. The ECB has primarily maintained a hawkish bias and gave a balanced assessment of the euro economy today which in essence means the rate differential outlook into 2008 strongly favours the euro. The ECB is unlikely to raise rates soon but with the Fed set to cut several times more, it is difficult to favour the dollar over the euro at the moment from a fundamental perspective. I continue to favour buying the euro upon dips and I maintain we could yet see 1.50 hit before the end of next week. The euro has jumped from a low of 1.4523 this morning to now hit 1.46, and while there will remain some nervousness ahead of Friday’s US non-farm payroll data, the euro looks set to resume the upside trend ahead of the Fed next week. German factory orders soared by 4% in October, 8 times higher than forecast and suggests the strong euro certainly has not led to any deterioration in manufacturing in the euro’s premier economy. US jobless numbers fell by 15K last week and rises expectations for a positive non-farm number Friday. Strategy: Buy euro on dips with price targets of 1.4610, 1.4650, 1.47 and 1.4760. PS: ECB President Jean Calude Trichet stated in his press conference a short while ago that some members of the MPC today favoured and voted for a rate hike. The Bank of England followed the example set by the Bank of Canada Tuesday to shift policy and move to monetary easing. The 0.25% rate cut delivered today will have surprised many but the prospects of a rate cut have been increasing all week, owing to softer economic data and markets essentially pricing in a cut. Sterling had sold off prior to the announcement and in fact has since rallied as traders believed Wednesday’s sharp sell-off had gone far enough, for now. Sterling will continue to come under pressure if further economic data prints to the soft side as it will raise the belief that today’s Bank of England move is only the first stage in a prolonged monetary easing cycle, which many believe will stretch well into 2008. Cable has been protected by broader dollar weakness this afternoon and this might continue as markets next look to the Fed which meets next week. There is a chance of an aggressive 0.5% cut by the Fed next week, but this may be totally dependent upon Friday’s nonfarm payroll number. Sterling has sold off somewhat against the euro but is still below yesterday’s record 5 year lows, but there is a risk of a further attack on EUR/GBP, particularly if the euro launches a broader market rally. On the data side, industrial production and manufacturing output released earlier today came in higher than forecast, growing at 0.4% and 0.5% respectively on the month, which at least signals that the manufacturing sector in particular is holding up well. Strategy: Our target 2.0246 has been reached and given the sharp move and the anticipation of a Fed rate cut, I’m not inclined to sell cable at current price levels. It may be worth buying cable on dips below 2.02 as there is the prospect of a corrective return to 2.04, particularly with the dollar likely to come under pressure leading into the Fed policy meeting. Much will also depend on the US non-farm number tomorrow and I would recommend being out of the market before this data is released (13:30 GMT). Sterling has now taken on a negative tone on the broader market and there is little value in buying it against any currency other than the dollar at the moment. The Japanese yen lost further ground Thursday against both the euro and the dollar and the US currency has now appreciated to Y111.25, close to the recent highs. There may be a push to try and force the pair towards 112, but the dollar looks to offer very little value above this level, when once considers the US Fed is set to cut rates next week to try and stimulate economic growth in the world’s largest economy. The yen’s market price however looks set to be overtaken by events and if global stock markets sustain their rally through to the Fed meeting, then with risk aversion levels in decline the yen is going to be on the defensive. We have not seen any major outlay on the carry trade in the past 24 hours, despite stock market moves, so the yen has not slipped as far as it might have done. High volatility is likely to be the order of the day and the yen will be pulled in both directions. Any sharp reversal in US stock markets later today should see money flow back into the yen and see the currency rise against the dollar. Revised GDP numbers for Qtr 3 are released tonight but these are unlikely to have any market impact. Strategy: Sell USD/JPY on any moves towards Y112, with target prices of Y111 and Y110.50. A strong non-farm payroll number Friday will favour high yielding currencies over the yen and traders should exit the market before the data is released (13:30 GMT. Canadian data Thursday was fairly robust with Building Permits rebounding by 6.8% in October, following a decline of 1.7% the previous month. Business activity picked up in November as evidenced by the IVEY purchasing managers index, which rose to 58.7 against 57.1 in October. Oil prices continue to fall (down a further $1 a barrel today) and with base metal prices in retreat owing to concerns over the global economy, the Canadian dollar will remain under threat. The loonie pushed its Us counterpart back to 1.01 over night but was unable to hold that level and the pair quickly rallied to 1.0193 this morning. The pair looks range-bound between 1.01 and 1.02 for now with the smart money buying the pair on dips. The immediate outlook for the currency will be determined by Friday’s employment data and another robust report could see the loonie temporarily correct back to parity with the greenback. However traders are looking for opportunities to sell the currency and should we see a negative employment number coupled with a strong US non-farm number, USD/CAD could rise to 1.03 tomorrow. The loonie has corrected somewhat against the euro, but this has more to do with the broader euro sell-off we saw yesterday than any new-found loonie strength. Strategy: Buy USD/CAD on dips towards 1.01 with upside price targets of 1.0180 and 1.0250. Friday’s trading between 12:00GMT and 14:00GMT will be volatile and intra-day range-traders should exit beforehand. Longer run – retain open long positions with S/L just below parity and upside price target of 1.05. The dollar has pared back half of the losses from Tuesday, when the pair retreated towards 1.47 after 1.4770 proved to be tough resistance for the euro to break. Euro-zone data was weak Wednesday with retail sales plummeting by 0.7% in October and growth in the dominant services sector slowing to a 2 year low, although the services PMI did come in slightly above last week’s preliminary forecast. Futures markets are beginning to price in increased chances of a 0.5% rate cut from the Fed next week and if US economic data remains weak for the remainder of this week, then the probability of an aggressive 50 basis points cut will increase. Wednesday sees the release of the ISM services PMI for November and the ADP employment report which estimates the number of jobs added in the private sector in November. Two weak reports will put added pressure on the dollar and to be honest it is hard to see how the greenback can sustain any real momentum over the next week, given the underlying risks. The ECB is the main event of this week and if the MPC maintains its hawkish inflation bias tomorrow I cannot but see 1.50 being hit within the next week. We need to be cautious though because we have already witnessed a shift in emphasis from the Central Banks in Canada and Australia over the past 24 hours and with the strong possibility of a rate cut from the Bank of England Thursday, it may well be the ECB will be forced into delivering a softer line because of wider concerns over a slowing global economy. Many traders will stay on the sidelines until after the ECB deliver their statement tomorrow and price movements between now and then may prove to be volatile and misleading. Soft US data though will increase expectations of a 50 basis point cut from the Fed and should see the euro rise to test Tuesday’s highs. Strategy: buy on any dips towards 1.4630 with target prices of 1.4730 and 1.4760, or if you want to be aggressive you can buy the euro at current levels with a stop loss just below 1.47 and a limit target of 1.4760 or 1.48. Sterling has taken a hammering Wednesday as traders increase bets the Bank of England will move to cut rates Thursday. We have seen a spat of weaker data Wednesday, with the Nationwide consumer confidence index falling to its lowest level since February, Halifax reporting house prices fell by 1.1% in November and the CIPS services PMI for last month printing at 51.9, below the 53.0 forecast. The euro rose to a fresh 4.5 year high against the pound at 0.7234, almost a full 2% up on the 0.7090, where the pair was trading early Tuesday morning. Cable also came tumbling down, from just below the 2.06 it was trading at last night to hit a low of 2.0351 this morning. Cable could yet return to challenge key support in the 2.0246 price region over the next 24 hours. While sterling is oversold against the euro, there is too much risk in buying the UK currency ahead of the Bank of England’s rate announcement tomorrow. The pound might get some relief later today if US stock markets rally and higher yielding currencies gain some reprieve. Between now and the Bank of England announcement it is a case of sell on any significant rallies. If the Bank does not cut rates tomorrow, sterling will rebound, particularly against the euro, so anyone going short needs to be aware of the inherent risks. Strategy: Sell cable on any rallies towards the 2.05 price region, with limit targets of 2.04, 2.0360 and 2.0250. Keep a watch on Bank of England and ECB Thursday for direction on EUR/GBP. BoE cut + hawkish ECB = further sterling weakness. BoE on hold + dovish ECB = sterling rally. The yen weakened overnight against both the dollar and the euro as Asian stock markets rallied. European stock markets have also rallied so far today, but the yen has managed to limits its losses as risk aversion levels remain high and higher yielding currencies like sterling and the Aussie dollar have sold off. The yen will come under pressure in the short-term if stock markets sustain their rally in anticipation of further rate cuts from the Fed, but any reversal in the fortunes of stocks should spark a sharp recovery in the yen. The dollar could potentially push back above Y111 later today if US data is better than expected and markets stabilize. The euro could advance to over Y163 Wednesday. Strategy: None. Await Central bank outcomes Thursday. If you have been following my analysis you will see I called it correct on the Bank of Canada and also forecast a spike in price of USD/CAD to 1.02, which was achieved overnight. The Bank made the correct move, although their accompanying statement was relatively neutral, so aggressive selling of the loonie solely on the basis of yesterday’s outcome is hardly warranted. We will probably now enter a period of consolidation, probably within the 1.01 to 1.03 price range, but Friday’s employment report from Canada has added significance and a strong report coupled with a weak US nonfarm number and an imminent US Fed rate cut should offer some temporary respite for the loonie, at least against the US dollar. The euro appreciated to over 1.50 against the loonie early this morning and while the move looks overdone, it is quite dangerous to buy the loonie right now with underlying sentiment beginning to weigh more and more against it. Strategy: Buy USD/CAD on dips towards 1.01 with limit targets of 1.02 and 1.0250. Move the stop loss on those long-run positions up to 1.0 from 0.95 and retain the 1.05 target price. The euro has rallied strongly Tuesday coming off a low of 1.4635 to register at 1.4740 at 12:00 GMT. The single currency has benefited from significant bids on the EUR/GBP pair, fuelled by speculation of a possible Bank of England rate cut later this week, and the sell-off of sterling against the single currency has in turn helped the euro rise against the dollar. There is no data of any significance later today, while this morning October producer prices for the euro area printed at +0.6% for the month, higher than the forecast +0.4%. There were 2 Fed officials speaking Monday – Eric Rosengren and Janet Yellen, and both highlighted downside risks to growth in the US economy, which suggests the weight of opinion on the FOMC seems to have swung to the dovish side and a rate cut next week looks like a done deal. The ECB meet Thursday and the committee is expected to keep rates on hold and markets anticipate a hawkish bias with euro-zone inflation having hit a 6-year high in November. If the ECB does deliver a hawkish line and with the Fed set to cut next week and possibly cut rates a number of times next year, then under this scenario the dollar looks set to struggle against the euro for the foreseeable future. The only possible get-out clause for the dollar will be if the ECB choose to shift their monetary policy to a more balanced or dovish stance. The ECB could conceivably shift their stance to neutral, as recent speeches from council members point to a growing number of doves on the policy committee. Price action between now and Thursday’s ECB meeting will probably see bias to the upside, but nerves will play on traders and there is liable to be quite a bit of volatility. There appears no good reason to buy the dollar, unless the ECB are going to soften their stance and Friday’s non-farm payrolls may prove to be redundant in market terms as it appears they won’t have any impact on the Fed’s decision next week. It may well be that the Fed has already seen the payroll numbers and that they are not strong enough to dissuade the Fed from easing rates next week. Strategy: Buy on dips towards 1.4630 with stop loss at 1.46. Upside price targets are 1.47 and 1.4740. A close above 1.4750 Tuesday will mean price possibly rising to 1.48 Wednesday. Risk: Euro-zone Services PMI (09:30 GMT) on Wednesday, if much lower than forecast, could spur the ECB to soften their tone and will make the euro vulnerable to a temporary sell-off. Sterling sold off sharply against the euro Tuesday (losing over 0.5%), giving back most of the gains it had earned over the previous 2 days. The British Retail Consortium reported total retail sales grew just 3.1% over the year to the end of November while same store sales only grew by 1.2%. Also today the CIPS Construction PMI came in at 54.3, the lowest reading in 14 months and suggesting the slowdown in the housing sector is accelerating. The soft data has made many traders nervous ahead of the Bank of England rate announcement this Thursday. As of now the probability of a rate cut is only around 35%, but Wednesday’s Services PMI will be very important in terms of giving a clearer picture ahead of Thursday’s actual rate decision. The Services sector constitutes 70% of the UK economy and if tomorrow’s PMI points to further deterioration in this sector, then it could be enough to influence the Bank of England to move on rates this week. It is dangerous to buy sterling ahead of the rate decision and indeed if the Bank of Canada moves to cut rates today, markets may view it more likely the Bank of England will follow suit later in the week. Strategy: Sell Cable on prices close to 2.07 with target prices of 2.06 and 2.0550. The yen has rallied for a second day as global stock markets decline further and risk aversion levels continue to rise. The Japanese currency pushed the dollar to as low as 109.57 this morning but has since come off those levels to trade at around 109.80, still up 0.6% on the day. If negative sentiment carries through to Wall Street later today, the yen could push the dollar back to below 109, with a return to 108.50 a possibility over the next 24 hours. There is no data to influence the pair today and the yen’s fate will be determined by risk tolerance levels. The euro is down only marginally against the yen today – trading at around 161.80, but the pair could fall to test Y160 if stock markets continue their decline into Wednesday. Strategy: Wait for markets to stabilise before reviewing price levels and the way forward. Today is ‘D’ day for the loonie with the Bank of Canada rate decision due out in just 30 minutes. Markets price the chances of a cut at 30% but I personally put them higher than 50%, especially since the Fed have now indicated they intend cutting US interest rates again next week, which may act as trigger today. Canadian inflation is benign and the risks to the domestic economy are major, so there appears to be no reason for the Bank of Canada not to move now. Why put off the inevitable? If the Bank believes the risks are real, which they are, then the economy will benefit in the long run if the Bank is proactive in terms of easing interest rates. The loonie is trading as if traders have the jitters and are half expecting a cut. If a cut does come, expect a whole new wave of bids for USD/CAD and the pair should easily reach 1.02. If a cut does not come, then we will get a retracement probably back to as far as 0.99 or lower today, before a resumption of the uptrend. The best value pair in the event of no rate cut is EUR/CAD, i.e. sell it down. Strategy: If not in the market already, then stay out until the dust has settled after the rate announcement. Those that are in the market and are long should move up their stop loss, in case the Bank reneges today. We will revisit the situation tomorrow. An up and down session Monday thus far with neither side able to push home an advantage. The euro did have a sharp run to just over 1.47 this morning but came back down equally sharply and the pair has since traded primarily in the 1.4650 to 1.4670 price range. Data was mostly positive for both currencies Monday as the respective Manufacturing PMIs for November printed slightly higher than forecast. Euro-zone unemployment also fell to 7.2% in October, down from 7.3% a month earlier. The fundamentals would appear to have shifted more in the euro’s favour in the past week, but there appears to be some degree of nervousness in pushing the single currency to 1.50 in the short-term and we may well witness a correction back to 1.45 before the upside trend gathers pace again. We probably won’t get a true picture of immediate direction until after the ECB this Thursday and non-farm payrolls on Friday. Also of importance to the euro this week is Wednesday’s services PMI, which is expected to report a sharp decline in the dominant sector for November. We may range trade for the rest of today between 1.46 and 1.47. US treasury yields have plummeted in the pas few days and the 2-yr bond now yields just 2.95 with the 10-yr bond at 3.91%. The bond market suggests aggressive cuts by the US Fed and this is not dollar positive in the medium term. There is the danger of a sharp impulsive rally against the dollar at any time. Strategy: buy on any dips towards 1.4630 with upside target prices of 1.4675 and 1.47. Sterling is the strongest currency in the basket Monday and the pound has launched significant rallies against the dollar, the euro and the Swiss franc. This strength is thanks to the CIPS Manufacturing PMI for November, which printed higher than expected at 54.4 against a 52.5 forecast. Traders are more confident buying the pound today believing the CIPS PMI result reduces the chances of a Bank of England rate cut this Thursday. Odds of a rate cut are probably at best 35%-40%, but it is concerns over the housing sector downturn and ongoing credit stresses in financial markets that are the real drivers for a near-term cut, so today’s wave of support for sterling is probably a little over the top and has inflated the pound’s short-term value, particularly against the euro. We have the BRC retail sales numbers released at midnight tonight and this will give a flavour of the current consumption appetite of the UK consumer and this may have more influence on the Bank of England than the manufacturing PMI. Sterling will benefit if the stock market rally continues, especially if a rate cut this week is further discounted. There are risks however and sterling rallies may be met by equally sharp sell-offs as the week progresses. Sterling could come off sharply against the Swiss franc if stock markets begin to tumble once again. Strategy: Sell down cable on prices above 2.07 with a target price of 2.0550. Any break below 2.0520 will probably mean a further decline to 2.0370 before there is any further bounce. The Japanese currency made a strong recovery against both the dollar and the euro Monday, having come off sharply last Friday, against the dollar in particular. Asian stock markets were mixed overnight and an element of risk aversion has crept back in which has seen the yen broadly supported. The yen is up 0.4% against the greenback and the single currency today. Japanese data will play second fiddle this week and the yen’s fate lies with the fortunes of equity markets and risk tolerance levels. A sell-off on Wall Street into the close Monday could see the yen push the dollar back below Y110 as we head into the Asian session. By the same token a strong rally on US stock markets could see the dollar advance back towards Friday’s high of Y111.33. Strategy: Stay clear for now. After a brief period below parity against the dollar Monday morning the loonie has since ceded the parity line as the decline continues. There was no data out of Canada Monday but the currency was not helped by a further drop in oil prices, while many traders are nervous about the prospect of a rate cut from the bank of Canada Tuesday and are simply giving the Canadian currency a wide berth. Last week’s GDP numbers were stronger than forecast and if the Bank of Canada fail to cut rates tomorrow, the loonie should be able to push the dollar back below the parity line once again. A rate cut could see the dollar appreciate to over 1.02 very rapidly, even ahead of the key payroll figures due for release for both countries later this week. I am now a loonie bear so will only sell the currency, but would prefer to see price drift back to between 0.9250 and 0.9550 before coming in again. There is major risk in having an open position on the loonie going into Tuesday’s rate decision and the more astute approach would be to have an advance buy order in place to pick up the directional move (if rates are cut), as USD/CAD will probably move very sharply in the period immediately following the rate announcement. Strategy: Buy on any dips to between 0.9920 and 0.9950 with target prices of 1.0020 and 1.0035. Exit live open positions before Bank of Canada rate announcement. The ECB’s Monetary Policy Committee delivers its final rate verdict of the year on Thursday next. It is 100% certain rates will be unchanged for the sixth consecutive month, meaning the baseline interest rate for the euro area will remain at 4.0% into 2008. While the rate outcome seems not in doubt, of more significance to markets is the accompanying statement and the precise language used by Jean Claude Trichet, the ECB President, when he presides over the customary press conference, 1 hour and 15 minutes after the official rate announcement. During the whole global credit crisis, which first befell financial markets back in August, the ECB maintained its hawkish bias throughout. This week the MPC finds itself between a rock and a hard place, as recent economic data points to a cooling in the euro economy, credit woes are worsening in financial markets, while euro area inflation hit a 6 year high in November. Dovish comments have begun to emanate from ECB council members, particularly as the euro’s rapid appreciation is now causing considerable disquiet within some euro nations, most notably France. With the Fed signalling further rate cuts in the US, the ECB stands accused by many of merely sitting on its laurels and allowing the Fed to take full responsibility for alleviating a credit crisis that engulfs not just the US stock market and banking sectors, but all of the world’s major financial markets. It was a safe bet a few weeks ago to expect the ECB to significantly qualify their tone this week and to release a more neutral policy statement, balancing upside inflation risks with downside growth risks. This may still be the essence of the message Trichet delivers next Thursday, but given the ECB’s preoccupation with price stability and inflation, which it argues is its only remit, can the ECB seriously afford to sound more dovish at a time when inflation has suddenly hit a worrying peak? I recall a comment made by the ECB’s Weber a couple of months ago, which caused quite a stir in global stock markets at the time. Weber suggested the ECB may have to continue to raise interest rates, even if the euro economy hit a significant downturn, in order to keep inflation under control. This argument could form the crux of the debate when the ECB deliberates this week. I suspect the MPC will maintain its inflation bias, for to do anything else might undermine their authority and consistency. Trichet will talk up the downside risks to growth for sure. I don't expect Trichet to refer directly to the strength of the euro in his statement, although he will probably reiterate the ‘brutal movements in currency markets are unwelcome’ comment during his Q&A session. Maintaining a hawkish bias now will not prevent the ECB from cutting rates at any point in the near future, if an easing move is deemed necessary, i.e. if financial markets are not functioning properly. On the other hand the ECB is unlikely to signal any imminent rate hike, despite inflation having risen to levels well above the ECB’s comfort zone. It will be interesting to hear what the ECB forecaast for inflation into 2008, which when taken together with the Bank's growth forecasts, will at least give some indication of where rates may go next year. Don’t expect too much of a shift in ECB policy stance Thursday and with little hope of any major shift to a more dovish stance in the near future, the rate differential outlook fo the euro Vs the dollar still very much favours the euro, as we come to the end of this year.